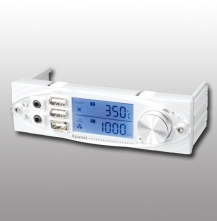 ● There are 3 settings of fan speed & temperture control with instant monitoring function. It is also with audo alarm for both overheating and abnormal fan speed warning. ● One digital control knob controls all the values setting & adjustment functions. 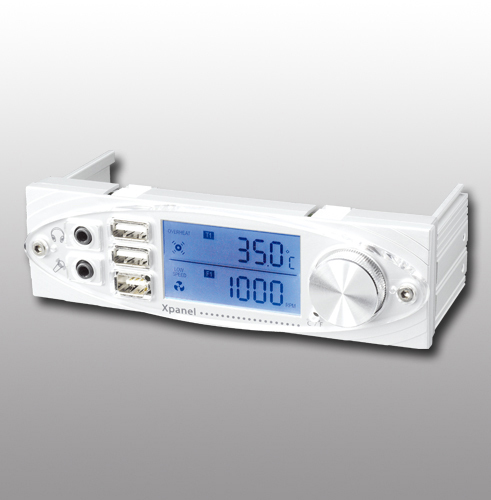 Temperature & fan speed can be monitored from blue LCD screen. ● Ports for USB, IEEE 1394, earphone/microphone make easy connection to various computer devices.